As far back as I can remember, come Christmas season, there’s that lovely, jaunty song playing almost everywhere we go telling that story about a snowman named Frosty. Frosty the snowman, is a fairy tale they say. But the children know, how he came to life one day. Frosty the snowman, knew the sun was hot that day. Frosty, says the song, is a snowman who was brought to life through a magic black top hat that a group of children found and placed on top of his head. For a while, Frosty gave joy to the kids, playing, frolicking and romping with them all around town in the snow. Then the sun came up and became too hot. It was already that time of year when Frosty can no longer stay. He left after promising his friends that some day he will be with them again. 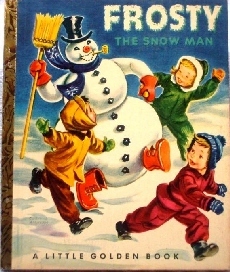 The story of Frosty the Snowman has been adapted as a children’s book with beautiful illustrations in 1950, which, still now we read to our kids. It was also made into a TV special in 1969, which to this day we still get to watch every year come Christmas season. When I was a little girl, I remembered building my first snowman. On it, after making the face, I’d put on a hat and pretend he was alive like Frosty the Snowman. My, it was a magical, happy feeling! Now, unfortunately, with climate change and all that, not many kids get to undergo that kind of exhilarating white winter wonderland experience that used to be part of our American Christmas tradition. Anyway, even though some of us no longer can get to play in real snow, we can still pretend, can’t we? We can, like children, make believe! This Christmas, snow or not, invite Frosty back into your home. Theme your place like the rustic winter setting of the Frosty the Snowman story. 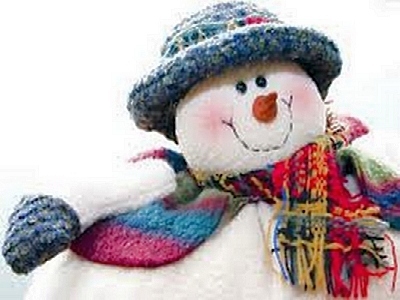 Buy or make snowman decors to greet your guests outside and inside the house. Hang fake snowflakes and icicles around and about. Decorate your dinner table with a miniature snowman as centerpiece. Prepare and serve food and goodies with the same Frosty motif. Let nostalgia and your imagination be your guide.